What is Lotus Flower Living? Lotus Flower Living is you and me supporting you on your path toward conscious living, clearing and balancing your emotional and mental processes, allowing you to experience a tangible difference in how you feel and behave. If you have never had this kind of support before, I can tell you that, it’s nice to have a place to go where two minds and two hearts are focused just on you for an entire session. It’s a luxury that will give you direction, comfort and true healing. We chat, we write and I listen very closely to what is going on for you at the belief level. We do not judge anything and we honor everything that comes up under a specific goal. We write it down on paper to reveal the “logic” your patterns use at low-grade, half-conscious levels to keep you buying into them. We make the half-conscious stuff totally conscious so you can see what’s in there working behind the scenes keeping you going in circles, in a what’s right/what’s wrong, darned-if-I-do/darned-if-I-don’t kind of dilemma. Why is your practice called Lotus Flower Living? I call this healing work Lotus Flower Living because it leads to a state of being (feelings, behaviors and a sense of knowing) that is very much symbolic of the lotus flower, an Eastern symbol of peace, strength, beauty and integrity. These qualities are associated with the lotus flower because it must endeavor to grow through the mud and muck in order to rise and sit upon the water in a state of open-petaled glory. It works hard to grow and push through the murky waters to achieve this placement; therefore, it is this will to survive and thrive that causes us to note its integrity. The lotus flower is also a symbol of my favorite personal discovery, that an open heart undefended needs no defense, meaning that when we have healed the wounds which once triggered us, we naturally enjoy a state of peace, strength, beauty and integrity without struggle because we no longer have anything to defend. Energy Psychology is the study of energy held in the body in the form of thoughts, beliefs, feelings, traumas, phobias, mental dilemmas, fear, worry, pain etc., and how all these energies interact with each other to hold patterns of behavior in place. How we see the world is so crucial. It is everything. Our perception is our filter of all incoming data. If our filters are skewed by misperceptions from life experience damage, we cannot have an honest and easy flow out with others because we cannot see situations for what they truly are. Also the energy of our thoughts and feelings helps to create what we experience. They become our self-fulfilling prophecy. Many may disagree that thoughts become reality. However, thoughts and feelings often lead to action and we cannot make good decisions about our actions if we are not seeing things clearly. In this sense thoughts become reality because of actions. How long have you been in practice? Where did you get your training? I have been seeing paying clients since 1999. The training I use on a daily basis has come mostly from non-traditional settings, although I do have an undergraduate degree in broad liberal arts from The Ohio State University and a masters in Interdisciplinary Studies focused in Counseling and Psychology from Lesley University, Cambridge, MA. My initial counseling certification came through a practitioner-training program through The Centers for Spiritual Living, a Science of Mind philosophy. If you aren’t familiar with this philosophy, it is somewhat similar to other new thought churches like Unity and Unitarianism. It was founded by Ernest Holmes who was a colleague of Ralph Waldo Emerson, Thomas Troward and Emma Curtis Hopkins. This foundational work allowed me to deepen my understanding of how we create our experience and how our thoughts and beliefs make up our consciousness. For the inner child work, Enneagram and intuition training, I was mentored by Greta Bro. For the Neuro-Linguistic Programming, trauma coursework, and additional Enneagram training, I studied with Judith Swack, Ph.d. I have also studied with Suzy Morgan (intuitive energy healer), Rev. Marjory Dawson (spiritual teacher), Rev. Tica Sances (spiritual teacher), Juelle (spiritual teacher), Linda Squires (intuitive energy healer) and Rev. 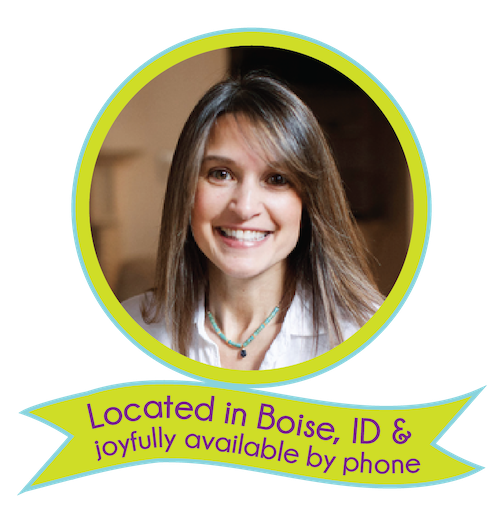 Robin Wiseman (intuitive energy healer). I’m a member of the Integrative Medical Alliance (IMA), an organization that works to bridge the gap between mainstream medical science and alternative healing practices. The most benefits are achieved by adults, men and women, who are ready to be proactive in their own healing work; those who are in transition with relationships, school or job; those who want to find the balance between “what’s mine” and “what’s yours” in emotional responsibility; those who are either overly empathic (too open hearted) or not empathic enough (closed hearted due to trauma); those who are either overly reactive or not responsive enough. This work is especially effective for those who have addictive and co-dependant behaviors they are ready to address at the root cause. What can I do to prepare for our work together? Get ready by beginning to think about what you want to experience in your life. Think about how you want things to be for you. As you dare to dream about a better life, tune into how you feel and try to catch the thought that generates the feeling. You may find it surprising how hard it is to catch and identify the thoughts that whiz by in your mind. The basic feelings are: mad, sad, glad and afraid. Being present to your thoughts and feelings is a spiritual practice all by itself. Third, come with an open, willing mind. Your willingness to be present to your own healing is the most important part. What results can I expect from this therapy? Establish a consistent spiritual practice (if you haven’t already) to honor your connection to who you really are, a spiritual being having a human experience. Learn tools that will go the distance for you on your personal healing journey. Discover what is going on in the inner workings of your mind, heart and gut so you can make wiser choices. Nurture honest-to-goodness self-compassion as you understand how you came to think and act in certain ways that appear to be beyond your control. Create new reference points for greater receiving. Advance your communication skills to relate with others in an honest, easy and straightforward way. There is a reason behind everything that we do. Our work together is to make those reasons conscious so we are free to choose new ways. What is Intention Setting/Affirmative Prayer? Intention setting is a statement designed to put energy in motion toward something you’d like to have or experience. It’s an “I statement” in the present tense such as, “I now have a fun job that pays well and honors my creative instincts.” An affirmation can be an uplifting way to encourage ourselves. When affirmations do not work well, then we know there has been too much life experience damage to the contrary telling us the affirmation is a lie. In this case, our mind does battle with the affirmation and creates a power struggle with it. That’s fine. All we need do is honor what the mind is saying and settle the argument so the affirmation can become true for us. Affirmative prayer is praying in the affirmative, claiming something in the here and now as though it already exists. There are five suggested steps to this process to help us experience a sense of “knowing” that what we wish to experience is possible. 1) We recognize that we are part of an abundant, generous and creative Power and Presence that wants the best for us. 2) We unify with this Presence acknowledging that there is no separation between this creative, generous presence and us. 3) We imagine and claim what we wish to have manifested in our experience in colorful detail, allowing ourselves to feel the joy of already having our desires met. 4) We are grateful for this new creation as though it already exists. 5) We release our prayer and expect this, or something better, or whatever is for the highest good for all involved to become true for us, knowing that Life always matches energy-for-energy that which we believe. We completely surrender and trust that we will recognize and be able to receive our good when it shows up. I believe in God. You talk about beliefs a lot. Are you going to mess with my religious beliefs? The idea of a God (or Gods) is a very personal and expansive subject, often associated with religion. The connection across nearly all of these expressions is what I think of as God-energy, and the power of prayer and faith. In that sense, God is at the heart of everything and is central to my own beliefs and to this work. Generally speaking, when I talk about beliefs, I mean the ideas and concepts that you have come to associate with yourself and the world. Religion and ideas of God fall into this category; these beliefs are very personal and sacred, and will be treated with great respect and care, but must be considered in the broader context of healing. If we have any beliefs, about God or otherwise, that degrade us as humans, then these beliefs are worth examining. But in the end, you are the one in charge of your inner work, and are the gatekeeper for what happens during a session. Neuro-Linguistic Programming (NLP) is an ingenious application of mental and emotional exercises that helps the mind let go of old ways of thinking and believing. It helps to unify opposing ideas held within the mind and body. Inner Child Work is therapeutic work done from the perspective of the child you once were. As we develop we shut down the voice of the inner child in order to get on with the task of being an adult. This very valid and important voice gets stifled a bit, so in Inner Child Work we give this voice/perspective a chance to help us remember decisions we made about ourselves and our relationships to others. The child you once were is alive and well inside of you and is a reliable source of information about your past. The Kid, starring Bruce Willis, is a very heart-centered, fun Disney movie that represents the inner child. If you aren’t familiar with the idea of the inner child I highly recommend this movie. The Enneagram (pronounced ANY-a-gram) in its entirety is a spiritual pathway for understanding the human dilemma, but for the purposes of Lotus Flower Living I primarily use the personality typing aspect of this amazing teaching. According to this system there are nine personality types. Each type has it’s own worldview, behaviors and strategies for seeing, analyzing and coping with life. Once we know our type, we can use this information to help us in our self-discovery work. The Enneagram Made Easy by Renee Baron and Elizabeth Wagele is my preferred quick reference book for the Enneagram. Any works by Helen Palmer are my preferred means of in-depth study of the Enneagram. You may also enjoy reading The Wisdom of the Enneagram by Don Richard Riso and Russ Hudson and The Spiritual Dimension of the Enneagram by Sandra Maitri. The Chakra System is our spiritual anatomy. We have many chakras within our spiritual anatomy but there are seven very well-documented chakras that we use to guide our work in Lotus Flower Living. Each chakra represents unique aspects of our physical, emotional, mental and spiritual health. I highly recommend Sonia Choquette’s CD series True Balance from Nightingale-Conant Corp. for a fun, gentle and thorough guide to these energy centers.